A little more space in your home can go a long way, whether it’s an extra few square feet where you can fit in your favorite desk or lounge chair or a full room to fit your guests and hobbies. Our luxury two bedroom apartments at Alexan Buckhead Village offer no lack of living space, allowing you to find the perfect fit for your lifestyle and preferences. 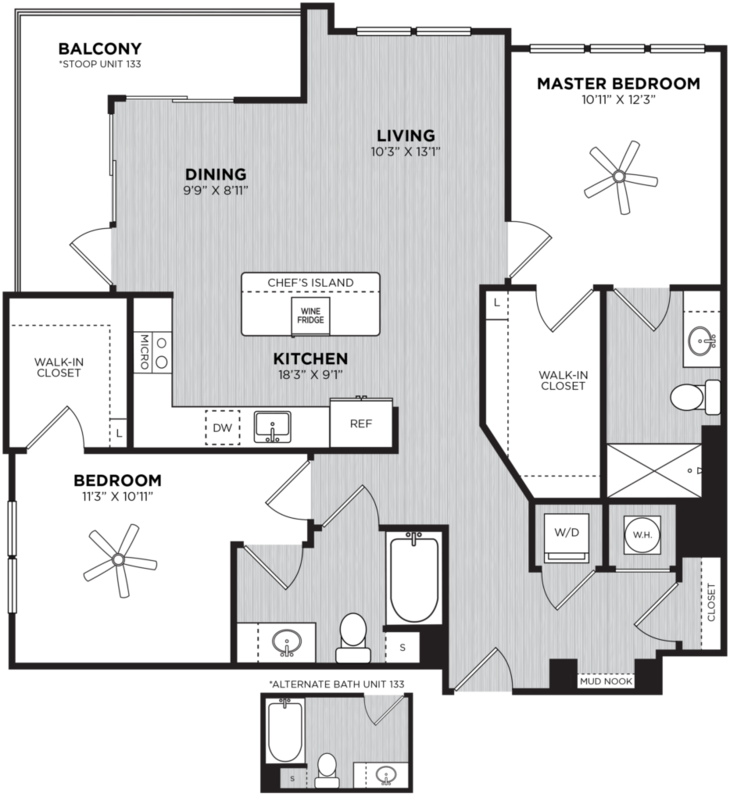 One of our many two bedroom luxury apartment floor plans, the Pommery, stands at an impressive 1,202 square feet of living space, perfect for roommates wanting to share the wealth of home, families cohabiting the rooms together, or those who simply enjoy some elbow room. The two bedrooms stand on opposite ends of the apartment, giving a sense of privacy for companions that share different sleeping schedules; they also have the ability to hold king-sized mattresses, and they connect right to an expansive walk-in closet and their own deluxe bathrooms in most models. Greet guests, organize your collections and winter gear, and wash up your clothes from home right at the entry corridor, which features a coat closet, mud nook, and standing washer and dryer connection respectfully. Lounge back and enjoy your freedom in our large living room, complete with a dining room for a nice table and a wide private balcony overlooking our beautiful community views. Finally, share snacks and swap recipes in our open-concept kitchens, featuring a chef’s island for added versatility and a refreshing wine fridge. 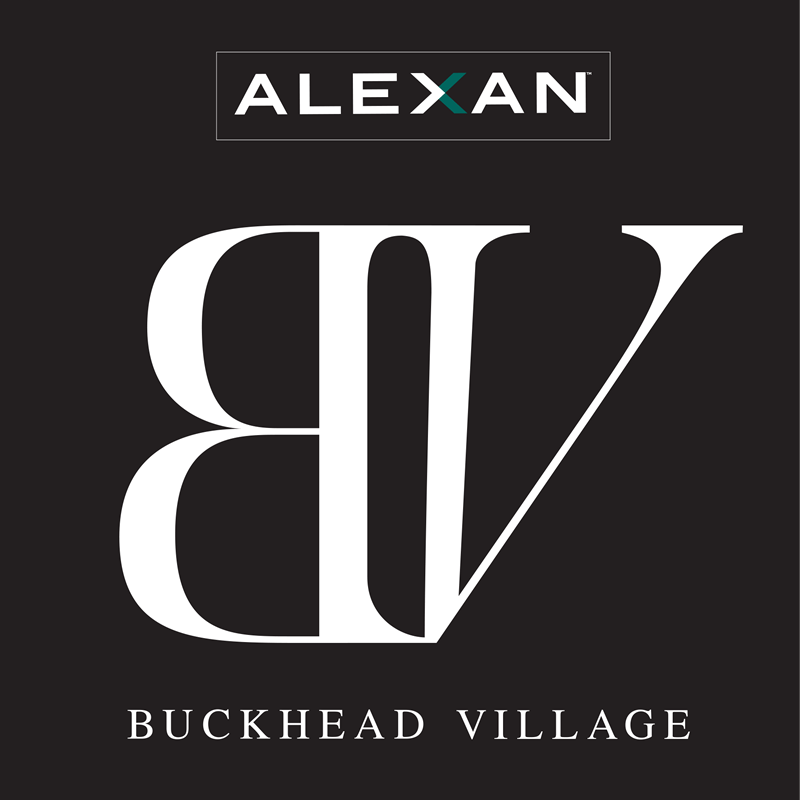 Build yourself a home that goes beyond average at Alexan Buckhead Village. Schedule a tour of The Pommery and all our other amazing two bedroom luxury apartments in Atlanta today.